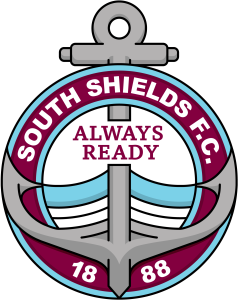 Graham Fenton told of South Shields’ long-standing admiration of new boy Luke Daly after revealing the midfielder had snubbed interest from elsewhere to join the Mariners. Daly played twice against Shields last season for former club Droylsden, impressing on both occasions. His performances caught the eye of Fenton and fellow joint manager Lee Picton, and when the opportunity came to bring the 22-year-old to Mariners Park, they seized it. Daly had interest from clubs higher up the pyramid but opted to join former Burnley team-mate Nathan Lowe at Shields. Fenton was delighted to seal his signature. He said: “Luke is someone we’ve admired from a distance for a couple of years, so we’re delighted to be able to bring him into the club. “We’re looking for him to compliment the players we already have and are confident he will do that. Fenton and Picton were already fans of Daly, and their views of the player were strengthened after speaking with his former team-mate Lowe. Fenton added: “We spoke to Nathan Lowe, who played with Luke at Burnley a few years ago, and he couldn’t speak highly enough of him. “Luke did well against us in two games last season and caught our eye, particularly in the away match on what was an awful pitch on the day. “He really stood out and caused us some big problems through the midfield area. Daly took part in his first training session with his new team-mates on Thursday, and has already impressed the management. Fenton said: “We were delighted with the start he made in training on Thursday. “He looked really sharp and showed real quality on the ball. Droylsden, meanwhile, paid tribute to their former player on Twitter.